Microsoft could be demoing its new "Modern Life Services" next month during a live event in New York City. There is a good chance of new Surface announcements to take advantage of the Holiday shopping season. A full Surface tablet redesign with USB Type-C, however, is unlikely to make an appearance. 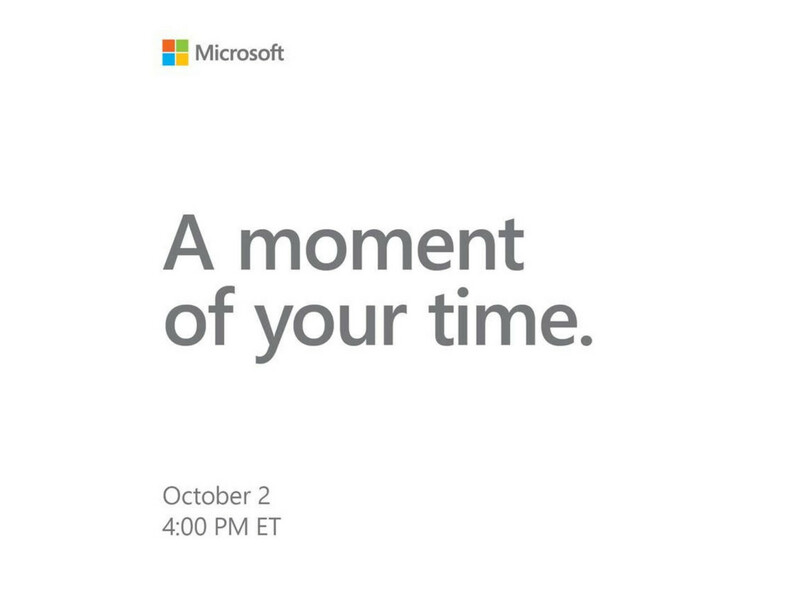 Microsoft will be asking for "a moment of your time" come October 2nd when a press event will be taking place. As usual, concrete details on what to expect have not been given and so we are left to guess at what could potentially be at show. 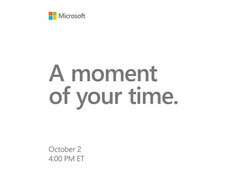 Based on the timing of the event, Microsoft will likely unveil new Surface SKUs alongside new services and software. Existing rumors point to a simple LTE option for the Surface Go with no new chassis designs until 2019. Thus, Surface fans yearning for USB Type-C may just have to wait until Carmel becomes official. The Surface Phone and Surface Hub 2 are also unlikely to be front and center since Microsoft has already confirmed the Surface Hub 2 for next year. Windows 10 could also be a focus during the event as the upcoming version 1809 major update is scheduled to launch at around the same time. Nonetheless, it would be foolish to host a live press event without at least a few new devices to show. Apple will be hosting a press event next week on September 12 where new iPhones and MacBooks are expected to be unveiled.